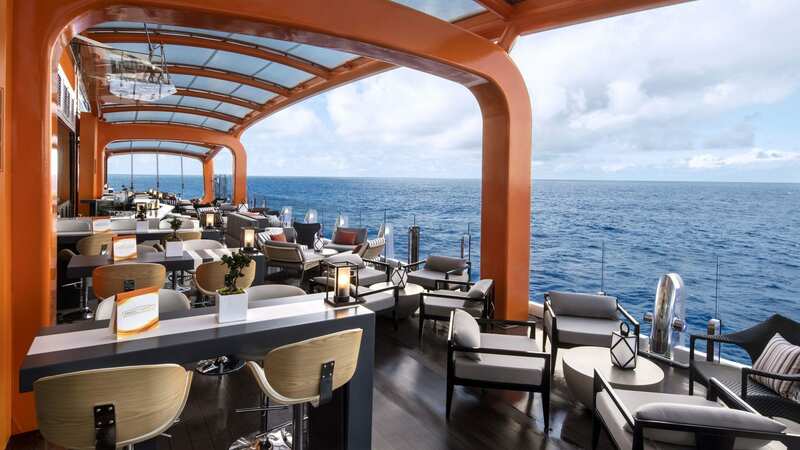 ROBOS has a team of specialists who take into account all the specific requirements that apply to designing various spaces on board a cruise ship. They ensure that everything is sea-resistant and, if necessary, secured to the floor. Floating, sailing to the most beautiful places in the world. Surrounded by luxury with spectacular views of the sea or land. A cruise ship has everything you could think of. From spas to restaurants, fitness centers, a cinema, an aqua theater, kids clubs, to a professional go-kart track. ROBOS makes it happen. ROBOS is one of a kind. Once again, the world is a beautiful place richer. ROBOS has supplied, among other things, no less than 420 meters of sofa on board the Celebrity Edge. Moreover, every meter of the fully upholstered and Corian® sofa is completely tailor-made. The fully upholstered sofas are located in the following rooms: The Club, Cabanas, Blu, and the Suite lounge The Corian® sofas are located on the Rooftop Garden. Tailor-made furniture makes everything more beautiful. ROBOS developed outdoor tables with a print for the Norwegian cruise ship Bliss. The Margaritaville restaurant now has very sharply printed aluminum table tops with a curved edge, which are particularly suitable for outdoor use. They’re practical to use and are lightweight, but with a tropical touch. 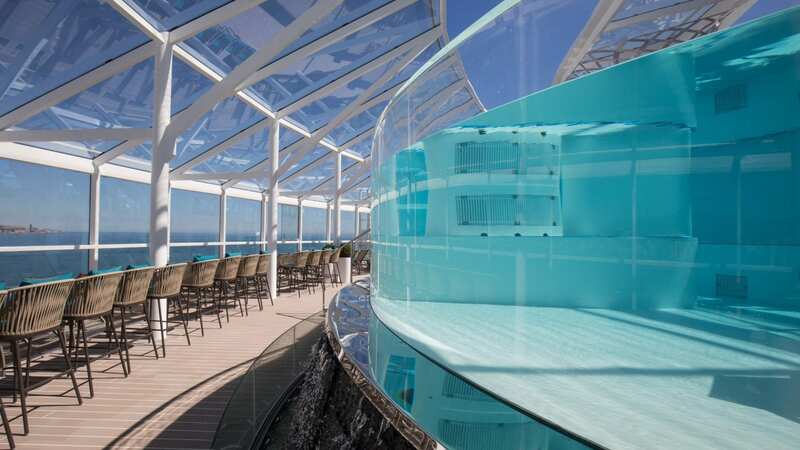 The Bliss is the newest cruise ship of Norwegian Cruise Line. This ship is built for adventure and sails not only alongside the glaciers of Alaska, but also alongside the dolphins of the Caribbean. The ship offers space for no less than 4,000 passengers and is 324 meters long. In total, ROBOS delivered no fewer than 14,500 items on board. If you’re a member of the ROBOS’ assembly team, you’ve got to have a bit of wanderlust. For example, they travel to Saint Nazaire in France, where the largest cruise ship in the world was built. The team installs all items on the spot and, if necessary, sails a time with them, as with the Symphony of the Seas. The Symphony of the Seas from Royal Caribbean is not only the largest cruise ship in the world, but also the most adventurous ship in the world. 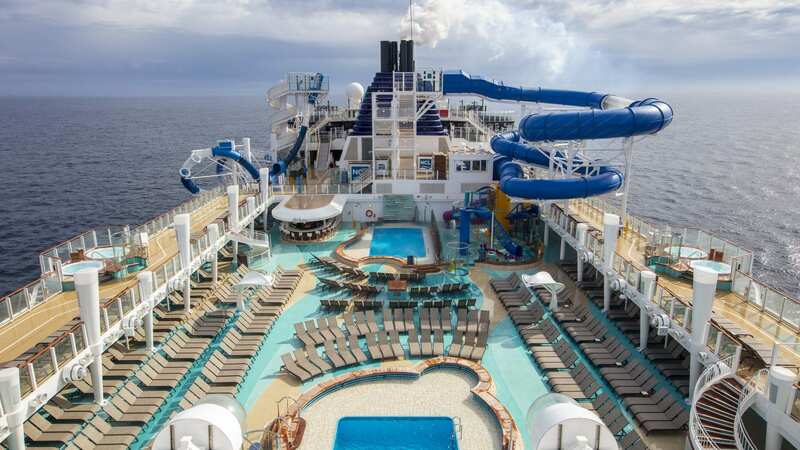 It carries at least 6,780 passengers and has the longest slide on the sea of, measuring no less than ten decks long. You also have the unique opportunity to conquer a wave on board in the unique surfing simulator called Flowrider®.